Today's message of cultural acceptance is dangerously distorted and deceptive. In a world that shouts: "If you truly care about other people, you must agree that their beliefs, values, lifestyle, and truth claims are equal and as valid as yours!" it s no wonder our youth are confused. 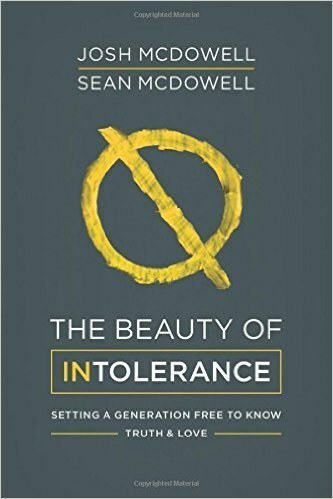 The Beauty of Intolerance--brand-new from Josh McDowell with son Sean McDowell--cuts through the confusion and points you back to the place where the only truth resides. . .Jesus Christ. Tied directly to the Heroic Truth initiative launched by the Josh McDowell Ministry, McDowell will share how a biblical view of truth can counter cultural tolerance and encourage a love and acceptance of others apart from their actions with a heart of Christlike compassion.